As an online retailer, you’re well aware that it’s critically important to attract website traffic and convert your visitors to customers. That’s why you’ve invested in a flexible and powerful ecommerce platform, and loaded it up with detailed product information and helpful general content. But that’s only half of the story, and the other half is equally important if you want to achieve ecommerce success: an optimised order fulfilment strategy. You must be able to deliver your customers’ orders on time, in perfect condition, with accurate and complete documentation. It’s a big ask, and without efficient processes and systems in place, it’s near impossible. The good news is that it’s usually straightforward to find steps in your processes that can be improved or removed altogether. And one of the best ways to do this is to make better use of your ecommerce platform’s inbuilt and add-on order fulfilment tools. Here are three ways your ecommerce platform and its add-ons can boost your fulfilment speed and efficiency, so you can delight your customers every time. If you’re receiving orders through multiple channels and managing those orders separately, you might be duplicating your workload, or worse. You wouldn’t be alone, though—some 79% of businesses are relying on multiple systems to capture orders, and more than 66% use more than one fulfilment system. How many systems do you use to capture and fulfil orders? Stop right now and ask yourself: is there a better way? Omni-channel retail requires a matched omni-channel order fulfilment strategy—one that lets you see all your orders in a single system, and manage fulfilment across all locations. One that enables you to update shipping details in a single space and see that change reflected across all your channels, including eBay. If your retail platform isn’t delivering this single view, there’s a good chance you’ve outgrown it. You can also take advantage of another level of consolidation to speed up your order fulfilment. This one happens inside the warehouse, and it’s to do with how you pick and pack your orders. Instead of picking and packing orders one by one, you can create batches of orders and process them in bulk. With a consolidated pick list, one staff member can pick multiple orders at once, ready for packing. The bigger your warehouse, the more time you’ll save, as your staff won’t have to walk the entire floor so many times each day. And you can speed up packing, too, by printing invoices, shipping documents and labels for your entire batch of orders at once. Manual order fulfilment processes are slow, but their problems run deeper. They also have a tendency to introduce errors—especially if you’re in a rush to get those orders out the door as soon as possible. And these errors may compound to create flow-on problems, as your staff spend more time resolving issues and less time fulfilling other orders. That’s why it’s so helpful to automate as many of those time-consuming manual tasks as you can. sending transactional emails to inform your customers of their order progress. If you’re using all the inbuilt order fulfilment features and could still do with an extra boost, see if your vendor offers add-on solutions to optimise your processes further. Neto Pick'n Pack helps you speed up your order picking with mobile scanning and label printing. It also reduces the risk that your staff will pick the wrong item in their rush, adding an extra layer of quality control to your fulfilment process. Neto can also help you optimise your drop-shipping processes, by automatically sending orders to your suppliers in PDF or custom file formats, splitting orders between multiple suppliers, supporting stock control, and enabling suppliers to process orders on your behalf. Manually copying information from one system to another is a real time-waster. 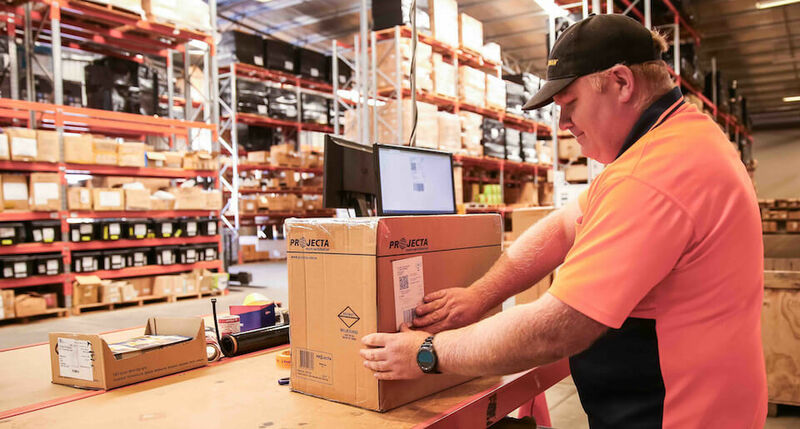 That’s why omni-channel retailers will see a huge benefit in switching to an ecommerce platform that integrates with Australian shipping providers, preventing duplicate data-entry. With Neto Ship, for example, you can give your customers and staff accurate, real-time shipping quotes at the click of a button—there’s no need to visit multiple shipping provider sites to gather quotes. You can also set Neto Ship to automatically generate consignments for all the leading shipping carriers. In this blog post, I’ve really only focused on the pick-and-pack part of order fulfilment, and highlighted a few ways the right tools can optimise your processes. The right tools can also help boost your end-to-end efficiency though by improving the way you manage the rest of your supply chain, and especially your inventory. Neto is the only Australian retail management platform that provides a complete solution for ecommerce, point of sale, inventory, and fulfilment. Our integrated back-end technology enables exceptional and consistent customer experiences via any channel, be it in-store, online or through a marketplace. We automate repetitive tasks and integrate with multiple sales channels to manage orders and shipments. If you’re ready to accelerate your omni-channel order fulfilment strategy, start your Neto trial today.